Prayer Box Bracelet with a Prayer Box Charm that is hinged and opens. This Prayer Box Bracelet (or Blessing Box Bracelet) is shown with 2 charms that are included. They did upgrade from the free lobster or toggle clasp to a Heart Toggle Clasp. 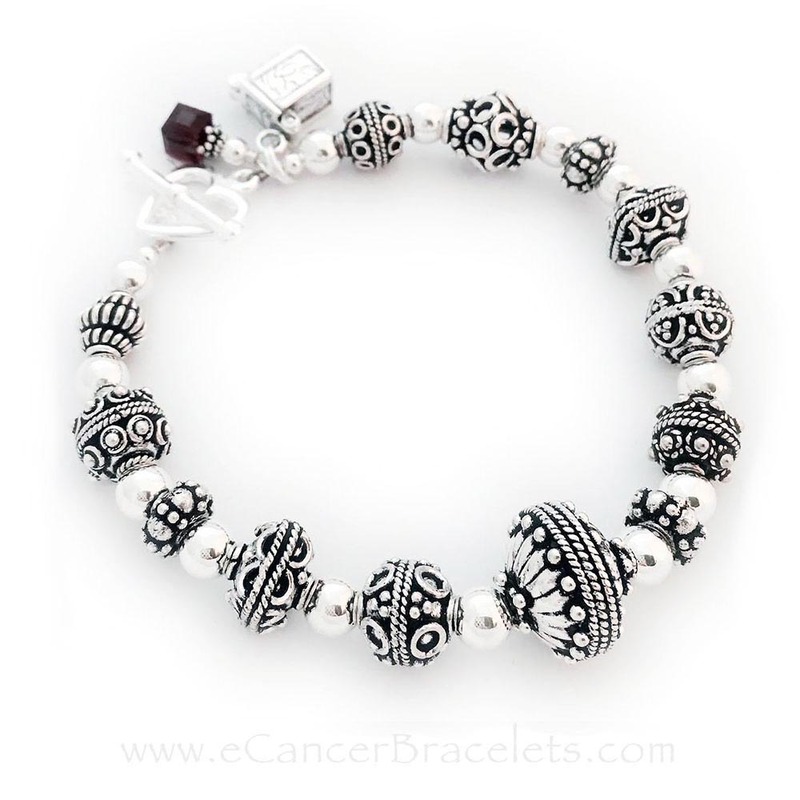 This Prayer Box Bracelet is shown with 2 charms that are included: A Prayer box charm and a Crystal Dangle (any cancer color - red shown). They did upgrade from the free lobster or toggle clasp to a Heart Toggle Clasp. The Prayer Box Charm is hinged so you can whisper or insert a prayer inside. All the beads are .925 sterling silver or Swarovski crystals. The beads range in size from 4mm - 12mm. The beautiful decorative beads are Bali beads.